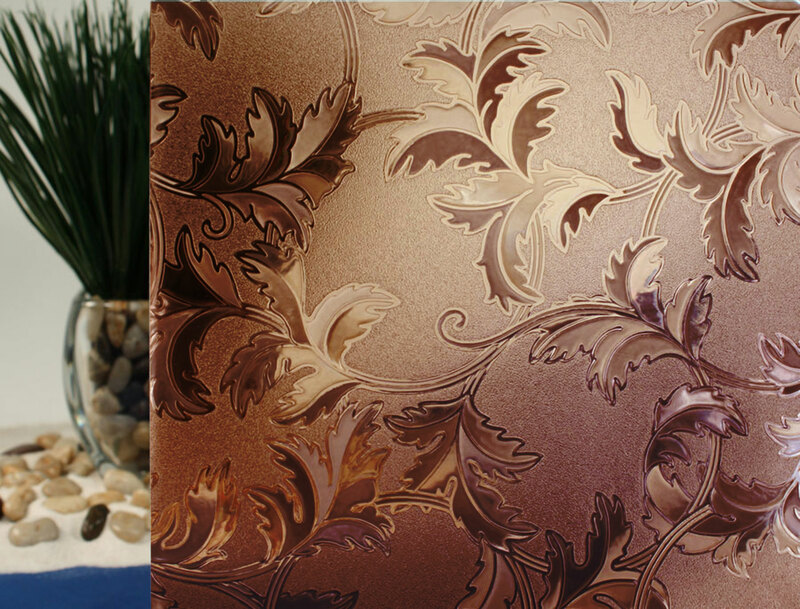 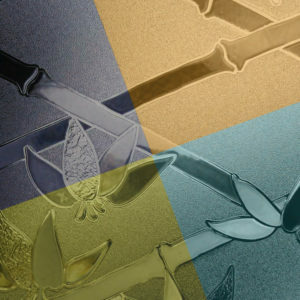 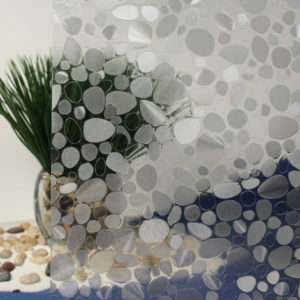 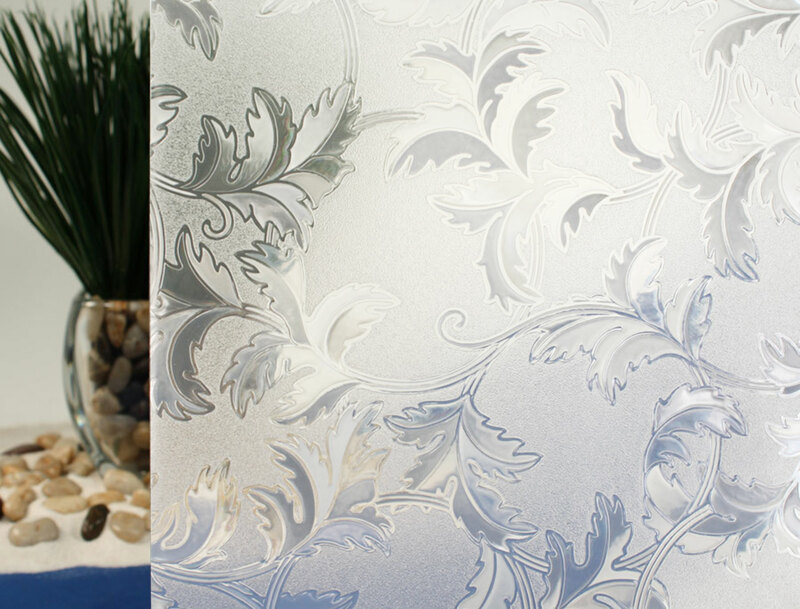 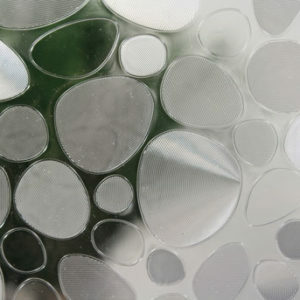 Our Cut Glass Leaves comes in a variety of sparkling colors, allowing you to bring your personal style to your space. 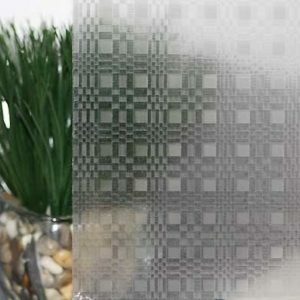 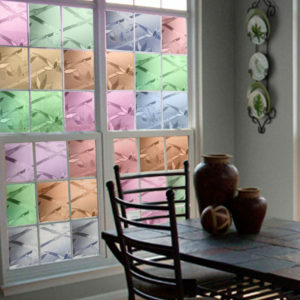 Sharp in definition, yet elegant, Cut Glass Leaves Colors Window Film is a beautiful way to add some privacy and an unforgettable style to your window pane or stationary glass. The pattern shakes out like this: clear leaves that appear cut into the film, measure around 2-3 long and about 3/4-1 wide. 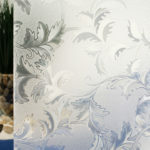 The leaves then vary and repeat throughout, connected by curving stems, while the background is layered with a light clear frost. 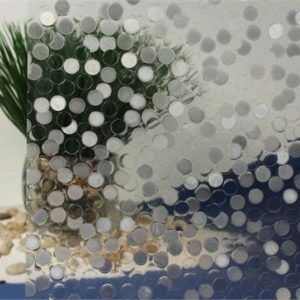 Even with the frosted background, this film still allows a lot of visible light in at roughly 65%, and it offers a UV rejection rate of up to 99%. 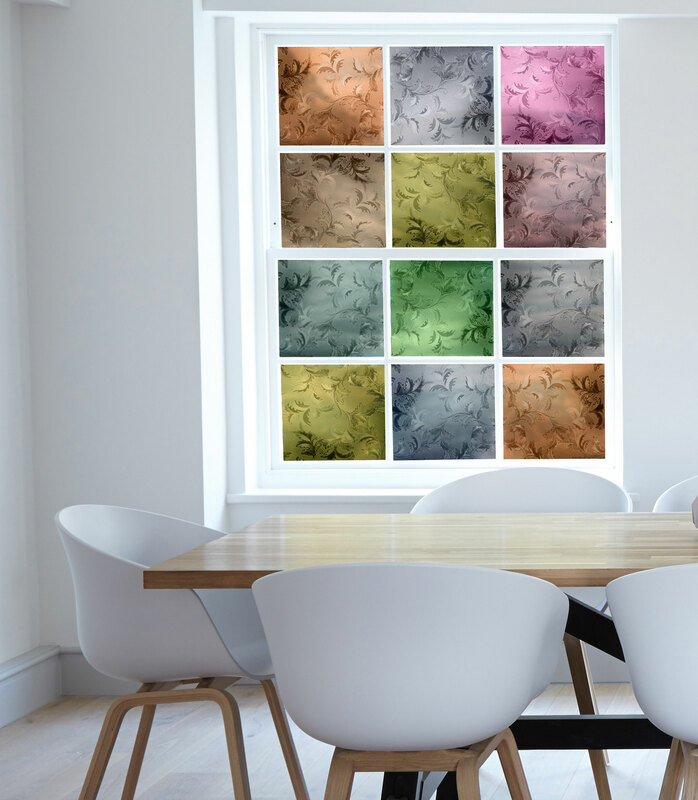 The R087021 decorative window film is also an adhesive free film, meaning that it can be removed and re-installed at any time.